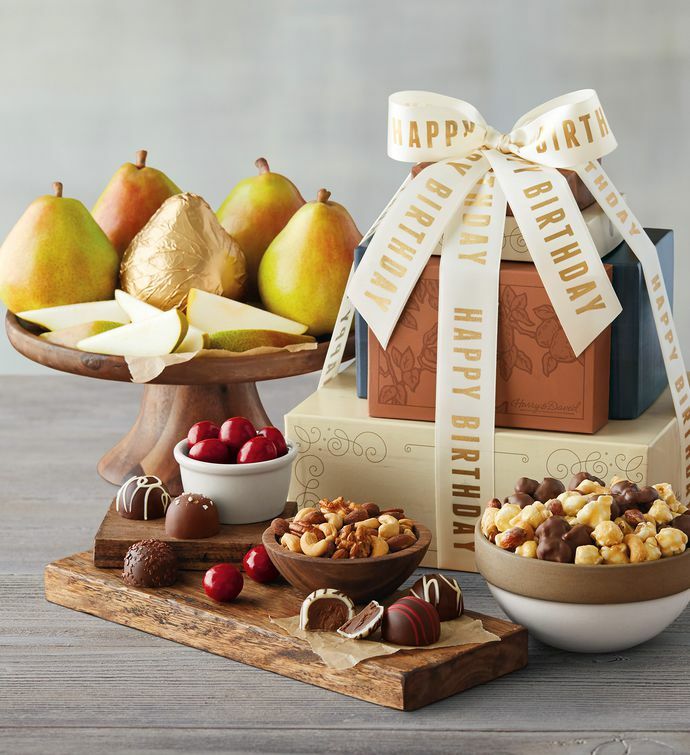 Send sweet, elegant birthday wishes with our Birthday Gift Tower. Featuring a variety of treats crafted in our Southern Oregon candy kitchen, including our perennially popular chocolate cherries, silky chocolate truffles, and more, it's the perfect sweet surprise. Royal Verano® Pears and Moose Munch® Premium Popcorn round out the assortment.